From adventure-seeking groups to avid watersport enthusiasts or families on holiday, Mike’s Watersports offers the very best in quality coupled with the utmost attention to safety. We strive to deliver adrenaline responsibly! 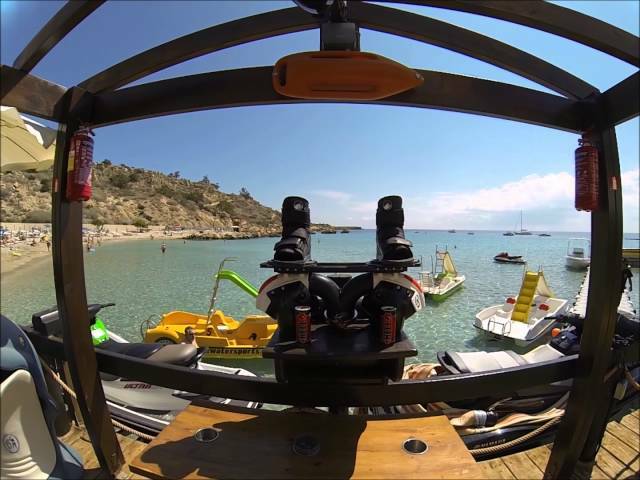 Mike’s Watersports began in 1982 on a secluded beach at Konnos Bay, with a small shack, a few pedal-boats, and a speed boat. Sheltered by steep, pine-tree-covered hills and the beautiful blue waters of the Mediterranean washing over it’s golden sands, Konnos is one of the most idyllic locations on the island and an EU Blue Flag beach. Mike, the founder of the business, had been a pancyprian champion in both water skiing competitions and jet bike racing. In 1988 he became the water-ski representative of Cyprus abroad. He was one of the first cypriots to attempt barefoot, as well as being a talented trick-skier. From it’s establishment to the present, Mike’s Watersports has grown into a large business offering numerous activities, luxurious speedboats, modern equipment and a renowned reputation based on the principles of quality and safety. We take pride in keeping our fully solar powered work station equipped with state of the art tech. From the scale of snorkelling gear and life-jackets to boats, the products are continuously updated, aiming to provide the very best in customer satisfaction. Above all though, safety remains our primary concern. WATER SPORTS YOU’VE NEVER TRIED, BUT SHOULD!! We strive to provide the best in self drive boat experiences. Looking for a smaller, more relaxed option go for one of our chill out boats. If space, speed and luxury is your goal, the Cobalt or Sea Ray boats may be more to your liking. All boats have shelter canopies, comfortably fitted interiors, and Bluetooth for you to stream your own music. They define the Fun in watersports. Take off on the fly fish, or bounce across the wake on all sorts of other inflatables: Sit back and enjoy the UFO, Crazy sofas, double rings or the Falcon, get a 360 view on the Octopus, or lay chest down on the Sting Ray. All deliver unique experiences of adrenaline and fun! Luxury yacht charter caters the ultimate luxury experience for those seeking to enjoy the Mediterranean in style. With a range of yachts to opt from please contact us for more detailed information regarding this particular service. The ultimate in luxury watersport toys! The SEABOB is a German-engineered battery powered device. It is the closest experience to swimming at the speed and ease of a dolphin – or to being in a bond film. With touch sensitive controls, screen specs, and a diving depth of up to 40m this product is guaranteed adrenaline and fun. 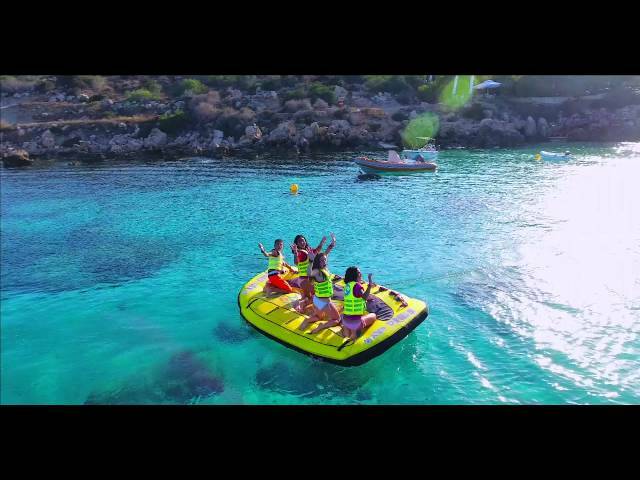 Seeking something a bit more athletic, kayaking is one of our most hands-on ways to explore the dramatic coastline of Konnos Bay and the Blue Lagoon. Be it individual kayaks, multi-seaters or glass bottom ones, for that extra dimension to your experience, this is one of the best ways exploring the Bay. Ready to channel your inner Iron Man? Nothing matches the thrill of hydroflight. Standing balanced on a board steering, jetting through mid-air ranks near the top of adventure dreams. With our experienced instructor guiding you through, never before has practicing to fly and push the limits been so accessible and safe. Instead of a board lifting you into flight, take off with a jetpack instead. Equally fun and adrenaline filled, strap in and prepare to be guided by our instructor. The new hip way to work on an athletic physique. Ever wondered what it’s like to kayak without the comfort of being seated? Or what steering a gondola feels like? The S.U.P. is just that: stand up and paddle. No watersport experience is complete without a ride on a jet bike. Try our top of the line jet bikes and really experience an adrenaline rush. A professional service for both experienced athletes and early beginners alike. Wakeboarding has been rising in popularity in recent years and has certainly cemented itself as one of the ‘coolest’ of watersports. With numerous tricks to learn from and flaunt at your friends and a posture that is always as photogenic as it gets on a board, wakeboarding is adrenaline infused, fun and full of potential. 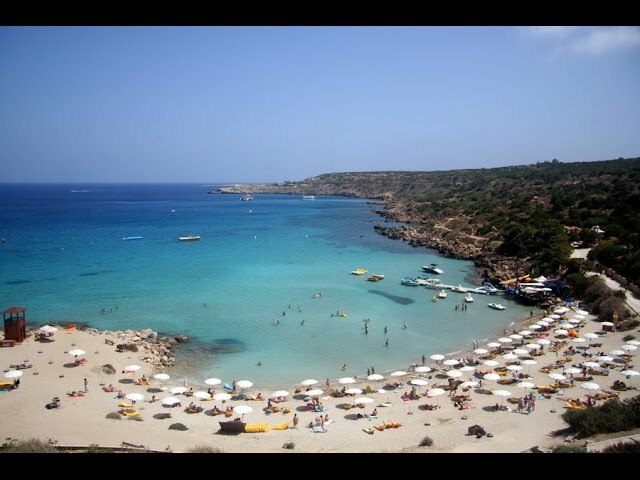 If you find Konnos Bay breathtakingly beautiful at ground level try a bird’s eye view by taking to the skies with parasailing. Pedal your way around the Bay and dive into the blue waters. They are an ideal, relaxing and fun ride for family and children. All equipped with stainless steel ladders, make it easy to swim and climb back onboard. In standard or jumbo sizes, pedal boats are the perfect activity for groups of friends and families alike. Pedal around the bay, take a dip down the slide, jump off the diving board or simply relax on deck and soak in the sun. Feeling lazy to pedal yourself around the bay but don’t quite want a boat then the Oxoon is for you. It’s round, it’s yellow and it’s powered by a Joy Stick! How much more fun can a lazy ride around the beautiful bay get than that. The RED SHARK Bike allows you to discover new places and practice sport on the water. It gives you the possibility of new horizons to explore, to enjoy the nature in a relaxed way with the feeling of freedom and to practice sport at a professional level. Feel like exploring the underwater aquatic landscape of the Bay? Hire some of our snorkelling gear to enhance your experience. A free service available for our disabled customers. Allows for full mobility on the sand and the ability to enter into the shallows. Get in Touch! Contact us Today!